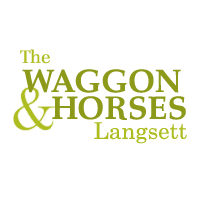 Once people discover the Waggon & Horses at Langsett they are hooked on this cosy non-pretentious inn on the edge of the Peak District moors. Its a place to enjoy traditional food, real ale and carefully chosen wine. This old fashioned pub is a hands-on family business with well over 40 years experience. Famed for it's baking, shortcrust pastry, soups, sweets and consistent good quality.